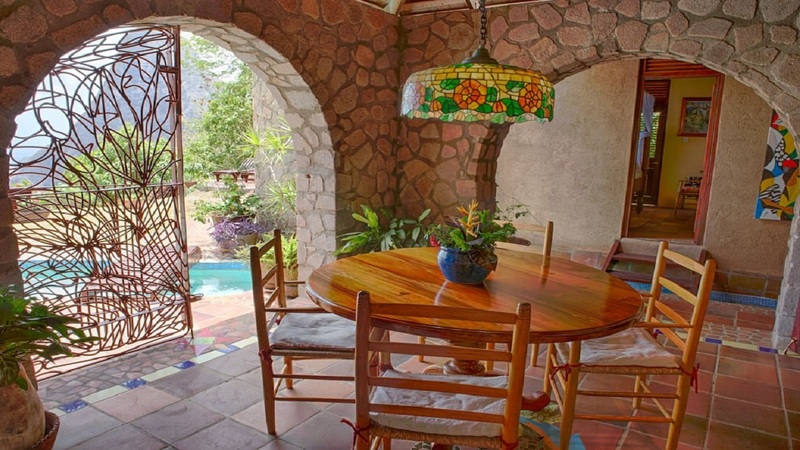 Most are lured by the promises of sun, sand, sea, and the romance her secluded oases offer with their nature tucked facilities. However, several sweet surprises await you on this tiny island. 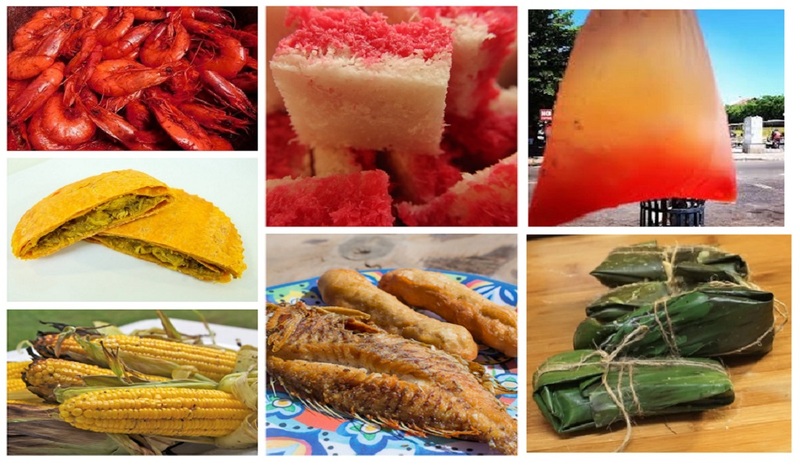 Saint Lucia; the only country in the world named after a woman, has an array of unique snacks that locals hold dear - passing them down from one generation to the next - and that visitors should never leave without trying. 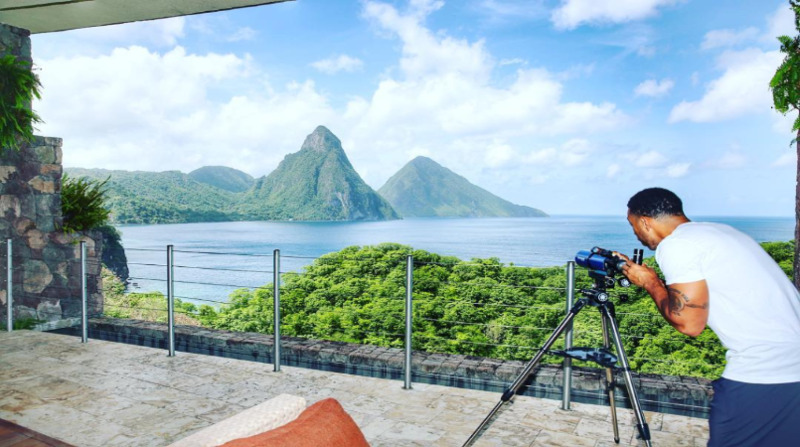 Throughout anyone's time in Saint Lucia, we recommend you complete your tropical retreat by having some of the island's most delectable local snacks. We compiled a list of 10 of the best, recommended by locals. When making your way around Saint Lucia, you are sure to encounter at least one vendor stationed at a roadside with a pickup truck behind him/her, spilling over with coconuts. This tropical fruit is indeed in abundance in Saint Lucia, which means ample opportunity to explore unique uses. One special treat is these bite-sized balls of shaved coconut held together with vanilla extract and any form of sweetener, depending on who's in the kitchen. 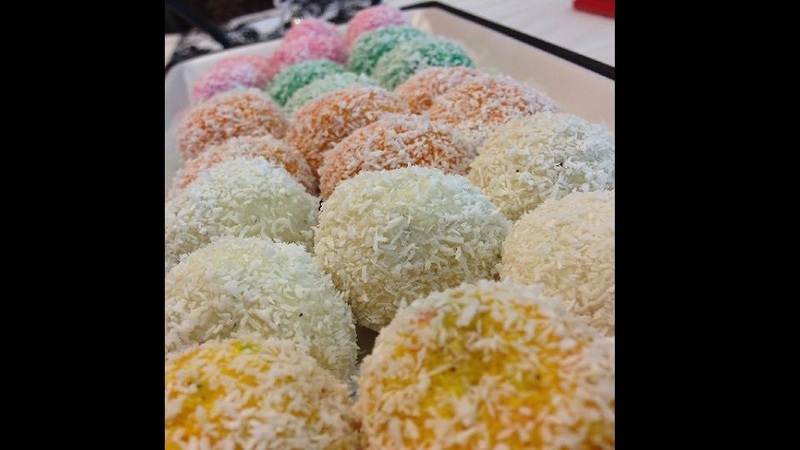 What makes coconut balls especially irresistible is how they erupt in your mouth with a burst of flavour, only to then melt away into sugary awesomeness. Still on the matter of “melt in your mouth sweetness”, it's only right that we mention a classic and long-time favourite for many: fudge. While fudge is not unique to Saint Lucia, nor the Caribbean, nothing tastes the same everywhere! Saint Lucian fudge is a wonderful fusion of coconut milk, sugar, vanilla, and a variation of the following, dependent on who's cooking; butter, condensed milk and local spices for that special Saint Lucian kick. Eaters can count down the seconds from the moment the blended, boiled, then cooled fudge hits the tongue and then slowly oozes across the palette in tides of rich flavours. 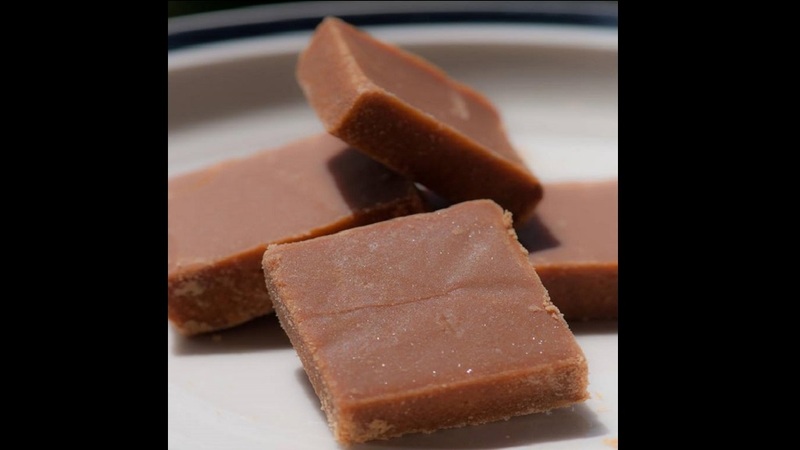 Also, Saint Lucian fudge comes in different flavours, a preference for many is to have peanut fudge. If you're walking past a street vendor and spot chunks of coconut shavings, glazed in a brown, sugary coating, then you've hit the jackpot. 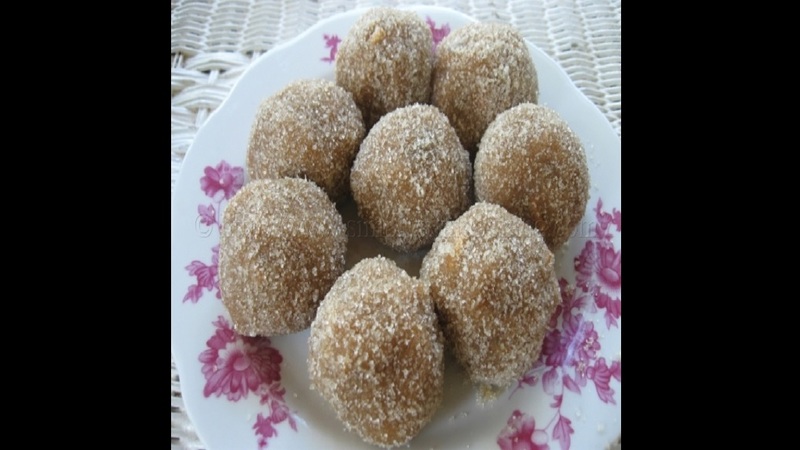 This sweet treat, unfortunately, has turned into one of Saint Lucia's more rare delicacies as, unlike the others, you won't find it in supermarkets and it isn't associated heavily with a specific holiday or season. However, a stroll through the Castries market or across central Castries (more popularly referred to as “town') just might render you lucky. The luckiest of all, however, are those who are well acquainted with a local possessing the right culinary expertise for combining the exact amounts of vanilla extract, coconut, sugar, cinnamon, baking powder and water, to whisk them up their own personal batch of Tablet. Don't be afraid to ask! It's worth it. 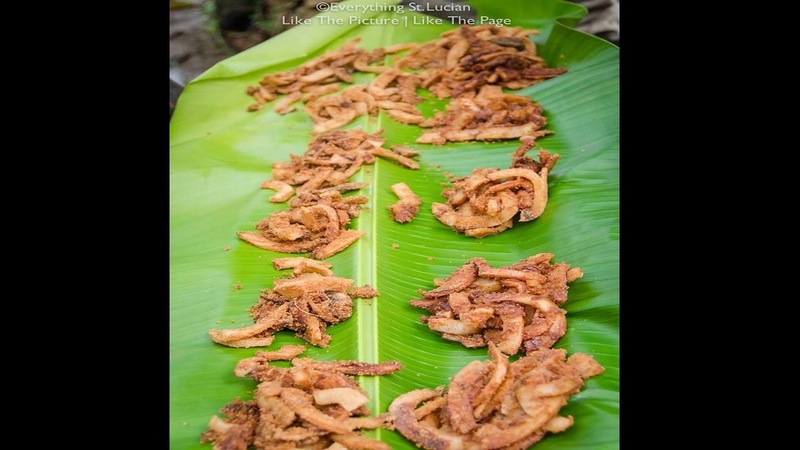 You are more likely to come across this snack in Saint Lucia during October, Creole Heritage month, and more specifically Jounen Kweyol; the last Sunday in October when Saint Lucians celebrate their Creole heritage with community and Creole food and music in heavy circulation. Farine is a derivative of cassava (a root vegetable). The cassava plant goes through a long process of being sliced, grated and parched over an open flame before it turns into “farine.” Then, it is coupled with ripe avocado and spices to taste to form this amazing treat. It's only right that when the heat becomes too much to bear, you cool down with a frozen treat. In Saint Lucia, an alternative to ice-cream is what locals refer to as 'Ice Lolly'. 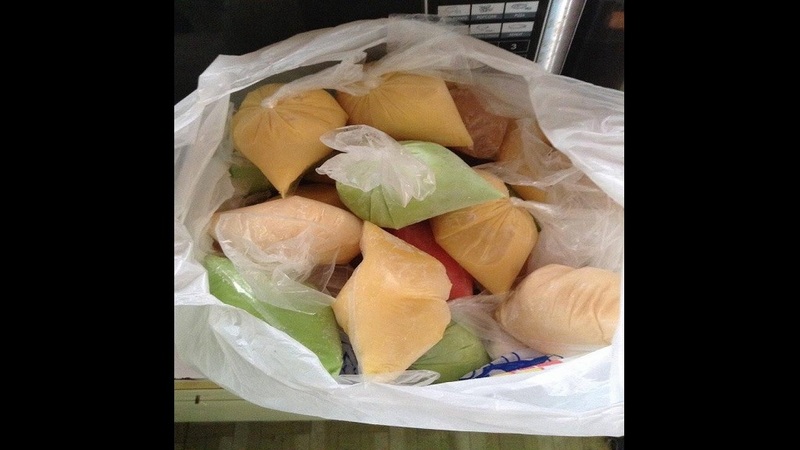 This frosty delicacy comes in a number of forms including a variety of fruit flavours and an assortment of milk-based options like peanut, coconut and vanilla—it is pretty much delicious milkshakes in a bag. Local sweet spices are of course added for an extra kick! Hardly would you find a Caribbean dweller who doesn't appreciate a good, juicy, ripe mango. However, in Saint Lucia, green mangoes can also be used as a key ingredient of one of the island's most delectable snacks. 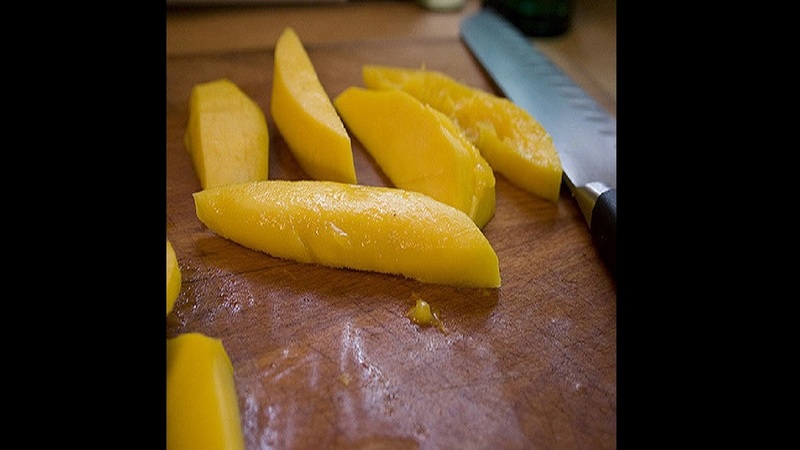 Mango in sauce is made up of a rightly portioned blend of water, vinegar, lime, salt, pepper and other unique fixings—highly dependent on the maker's tastes— and of course pieces of barely ripe mango. 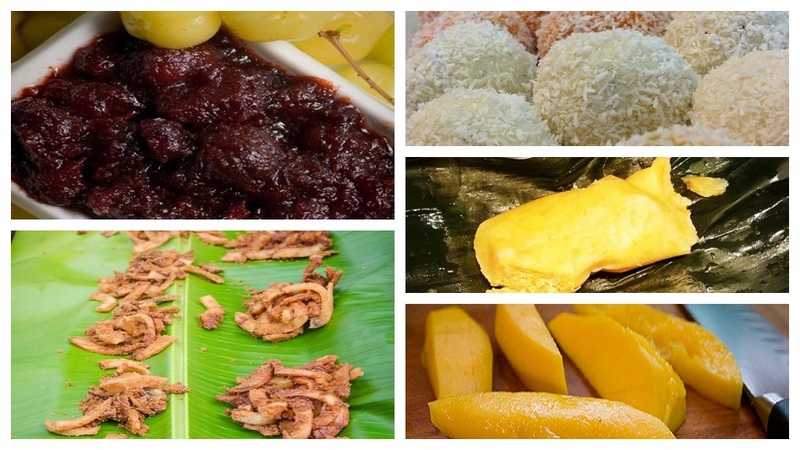 Unlike many other treats on this list, this snack is not sweet but its sour taste will leave your mouth salivating for more. Plus, once you finish your mango, you'll be left with a bag of spicy sauce as a chaser. Golden apples are the only other variation of this tasty treat. 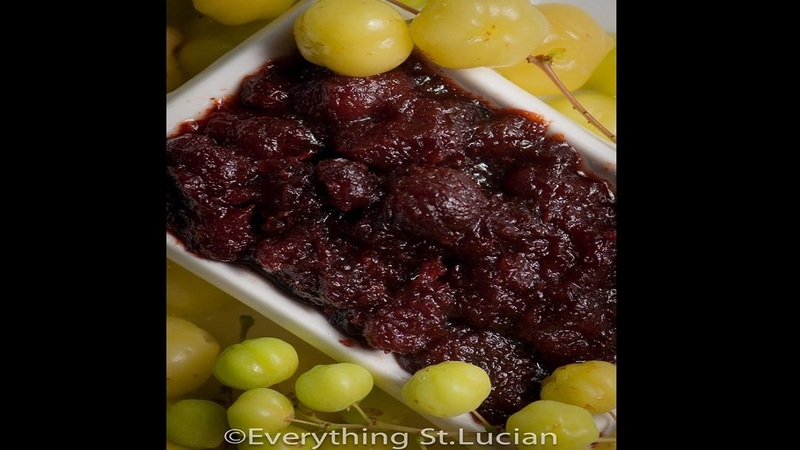 While gooseberry jam is not unique to Saint Lucia, a spoonful of locally made seawet jam, boiled to perfection in cinnamon and other local spices of choice, creates an envious balance of sweet and sour. After being prepped in a large pot atop a stove, seawet jam is normally served in small portions by roadside vendors and is also quite common in Saint Lucian households provided that access to the fruit is readily available. Another special aspect of this local treat is its prolonged flavour as 'munchers' can continue sucking on the seeds to their palette's satisfaction. Many islands in the Caribbean have a variation of this snack made up of cornmeal, milk, sugar and local spices. 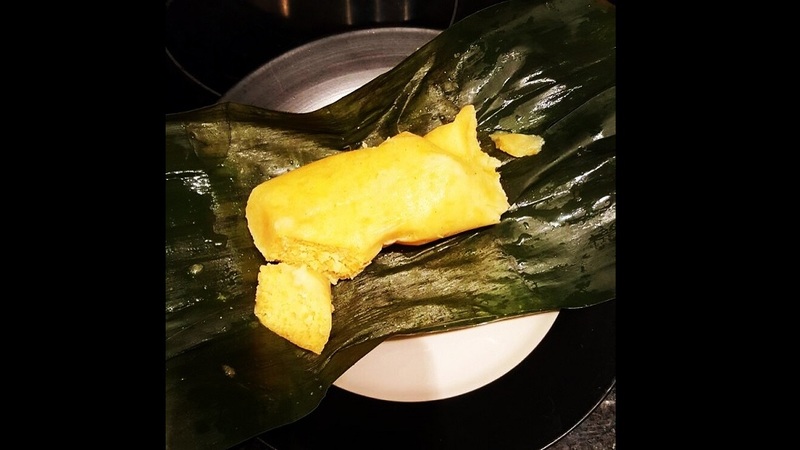 The ingredients are then combined, tied in a banana leaf and then boiled. 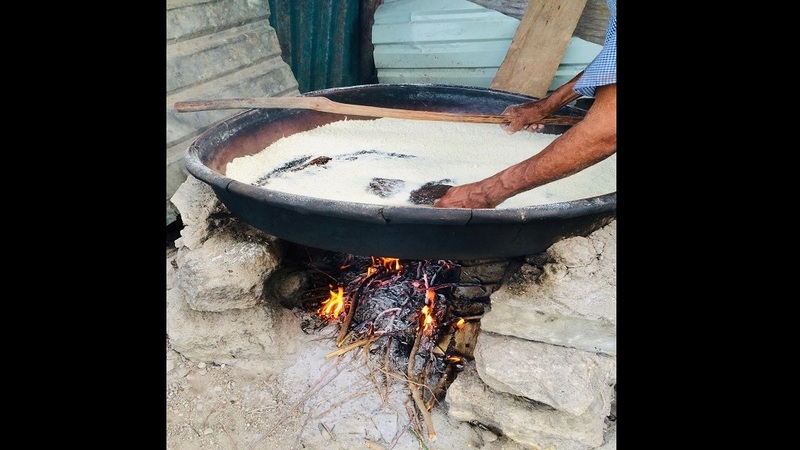 It's thick consistency and sweet flavour makes it not only a favourite around the Jounen Kweyol season in October—as it is considered creole food—but year round as well. Another mouthwatering, sugary snack. Who needs fancy meals at gourmet restaurants for a great tasting sweet and sour culinary adventure when tamarind balls do the job just fine? Shelled tamarind, still with its seeds, get mashed together in a blend of vanilla essence, spices and sugar, during the making of this Saint Lucian snack. Nevermind its size as, for the best results, you are advised to pinch away small amounts at a time so as to avoid overpowering your palette with the sour taste of tamarind. Clearly fruits are a staple of many of the best Saint Lucian snacks. While the island's culinary experience has a lot more to offer, based on reviews, we couldn't ignore this all around favourite. 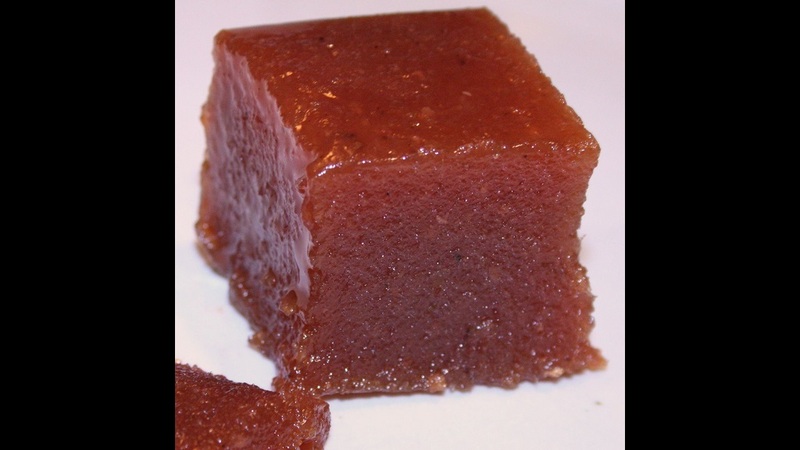 Guava Cheese can mainly be found in various Caribbean countries and in different parts of India. In Saint Lucia, the guava fruit is peeled, boiled, then whisked together with sugar, lemon (and other ingredients to taste) before being cut into smaller squares for serving. It is also doused in sugar making it, if you are a visitor, a perfect substitute for the candy you might be missing most from back home.